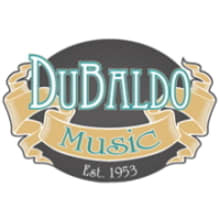 DuBaldo Music in Manchester Connecticut has been providing musical instrument sales, service, rentals and lessons for over 65 years, so shop with confidence! We will ship with tracking to the continental United States. Alaska, Hawaii, and Puerto Rico may incur additional charges. We do not sell or ship internationally. Buyer receives a full refund in their original payment method less any shipping costs and a 12% restocking fee. We have selected all of our merchandise with care and consideration to ensure your complete satisfaction! If you have any questions about an item on our Website, please feel free to either give us a call or use our contact form and we will do our best to assist you. Due to the nature of specialty items, we cannot accept returns for special orders, custom orders, consignment, used or one-of-a-kind items. Merchandise may be returned for a refund of the purchase price, excluding shipping & handling and restocking costs, if the customer calls for return authorization within seven (7) days upon receipt of merchandise. The customer is responsible for any applicable shipping charges in the return process. A 12% restocking fee would apply to non-defective returns. All claims for damage or defects must be made within three (3) business days of receipt. Please retain the shipping carton and packing materials to return the instrument to the address on the original shipping label. Return authorization numbers are good for a period of two (2) weeks from date of issue, after that time we will not be able to accept items for return.